The group's leader said Wildrose supporters could take out PC memberships to help Kenney seize control of the party, regardless "if you're a PC party supporter or not." “Kenney is arguably one of the highest profile pro-life politicians Canada has ever had,” Golob explains to supporters. 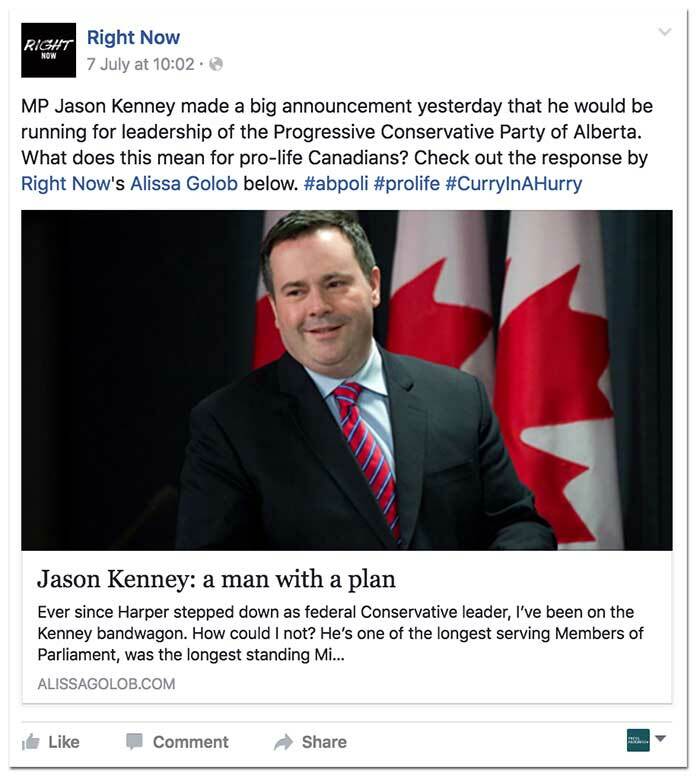 What calibre of new PC members could Golob attract in support of Team Kenney? Well, last year Golob led a “nation-wide anti-Trudeau campaign” that controversially delivered flyers featuring graphic images of Justin Trudeau’s face juxtaposed with bloody, mangled fetuses to suburban homes. 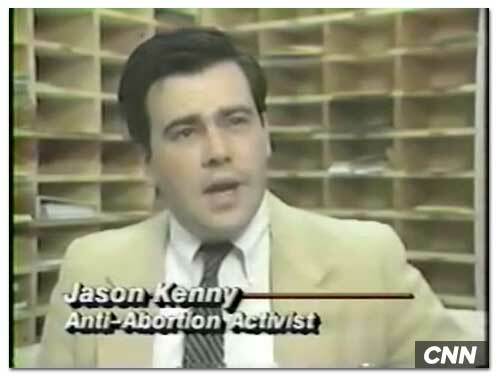 • According to Campaign Life Coalition, Jason Kenney has a perfect voting record on “life and family issues,” voting on a number of occasions in favour of legislation criticized as attempts to undermine the reproductive rights of Canadian women. 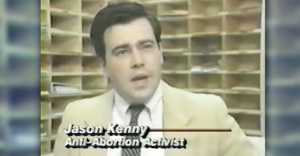 • In 2012, Jason Kenney voted in favour of Motion 312, a failed bid to redefine Canada’s legal definition of a human being, viewed by many as a backdoor to reopening the abortion debate – that motion that was even rejected by Stephen Harper. • Kenney voted in favour of Motion 83, a failed bid to examine “the medical necessity of abortion.” In the House of Commons, Kenney delivered a speech arguing many abortions are “medically unnecessary” procedures and that with “scarce and shrinking dollars” for healthcare, tax dollars would be better spent on MRI machines. And let’s not even get into how Kenney thought a women’s group spreading awareness of abortion rights at his old university campus was in some way comparable to allowing the Ku Klux Klan, pedophiles or the Church of Satan peddle their ideas too. Yeah, he’s sure been consistent alright! some Canadians have gotten the false impression that everything's perfect up here at home. Some Canadians seem to be glossing over Canada’s own problems with racism lately. 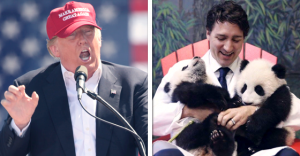 With chaotic events outside our borders – from Donald Trump’s blatantly racist and bigoted statements to the xenophobia that surfaced during the Brexit campaign – some Canadians have gotten the false impression that everything’s perfect up here at home.